Karen’s work focuses on ways in which to represent the body in a non-traditional manner and addresses themes and issues related predominantly to the female body. Through drawing, photography and sculpture she investigates three dimensional forms. 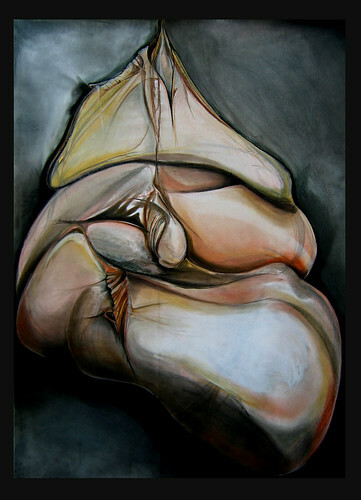 Often the work evokes paradoxical feelings, combining the abject and seductive; the beautiful and disgusting. She’s interested in the idea of excess and bodies which deviate from the norm. The work can be ambiguous, but by removing a representation of the body the viewer has to imagine the body. The work appeals to the bodily senses and provokes a physical response. Karen is very proud to present her first large scale solo exhibition.